The Mothman is one of the strangest creatures to ever grace the annals of weirdness in America. Observers described the Mothman as a man-sized creature, with large reflective red eyes, large moth-like wings and a sign of impending doom. A mysterious and unsolved case, "The Mothman" is the name given to a creature sighted in the Charleston and Point Pleasant areas of West Virginia between November 1966, and December 1967. The creature often appeared to have no head, with its eyes set into its chest. A number of hypotheses have been presented to explain eyewitness accounts, ranging from misidentification and coincidence, to paranormal phenomena and conspiracy theories. The strange events connected to the Mothman began on November 12, 1966 near Clendenin, West Virginia. Five men were in the local cemetery that day, preparing a grave for a burial, when something that looked like a "brown human being" lifted off from some nearby trees and flew over their heads. The men were terrified. It did not appear to be a bird, but more like a man with wings. A few days later, more sightings would take place, electrifying the entire region. Sightings of the Mothman started to escalate, with the Mothman plaguing the residents of the area for just over one year. The sightings climaxed and ended with the collapse of the Silver Bridge, plunging 46 vehicles in to the Ohio river. It was proposed that sightings of The Mothman were a sign and warning of the impending doom that was going to befall Point Pleasant in less than 12 months. 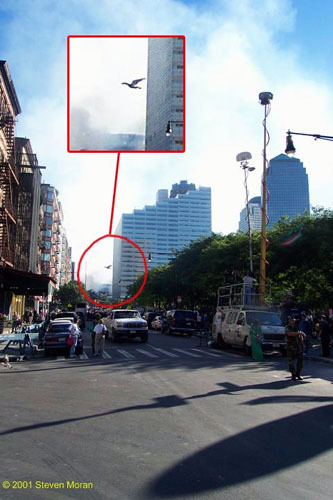 The Mothman has also been sighted just before other major world disasters; the Chernobyl explosion, the Tsunami in India, Afghanistan and Iraq, and in New York on September the 11th. On November 15, 1966, two young married couples from Point Pleasant, West Virginia, named David and Linda Scarberry, and Steve and Mary Mallette, were traveling late at night in the Scarberry's car. They were passing the West Virginia Ordnance Works, an abandoned World War II TNT factory, about seven miles north from Point Pleasant, in the 2,500 acre McClintic Wildlife Station, when they noticed two red lights in the shadows by an old generator plant near the factory gate. They stopped the car, and were startled to discover that the lights were actually the glowing red eyes of a large animal, "shaped like a man, but bigger, maybe six and a half or seven feet tall, with big wings folded against its back," according to Roger Scarberry. Terrified, they drove toward Route 62, where the creature supposedly chased them at speeds exceeding 100 miles per hour. Whilst driving away, the Scarberrys claimed to have noticed a dead dog on the side of the road, and in fact made such accurate note of its location that they claimed to have gone back the very next day and looked for it. They drove to the Mason County courthouse to alert Deputy Millard Halstead, who later said, "I've known these kids all their lives. They'd never been in any trouble and they were really scared that night. I took them seriously." He then followed Roger Scarberry's car back to the secret ex-U.S. Federal bomb and missile factory, but found no trace of the strange creature. According to the book Alien Animals, by Janet and Colin Bord, a poltergeist attack on the Scarberry home occurred later that night, during which the creature was seen several times. The harrowing experience of the two couples was not the only unusual occurrence that night in Point Pleasant. About 10:30pm contractor Newell Partridge was sitting at home in front of the television. Suddenly, the picture on the screen disappeared. It was replaced by a "herringbone pattern" and a "loud whining noise." He could now hear the familiar sounds of his dog Bandit howling on the porch. Bandit was a big muscular German Shephard who was always on guard, alerting Partridge of any unusual happenings around the house. He was a country dog, and used to defending himself and his family. Partridge quickly made his way to the porch to see what his loyal dog Bandit was making such a fuss about. The dog headed to the family barn, located about one hundred and fifty yards away from the house. Partridge aimed his flashlight in the direction of the barn, and was shocked to see "two circle-like eyes" glowing red in the darkness of the night. "I shined the flash light in that direction, and it picked up two red circles, or eyes, which looked like bicycle reflectors. I certainly know what animal eyes look like... these were much larger" described Partridge after the events. "It's a good length of a football field to that hay barn, still those eyes showed up huge for that distance." Something wasn't right, and Partridge ran back inside the house to get his shotgun, to defend himself from whatever or whoever was trespassing on his property. He spent the night with the gun at his side. When morning broke, he went to find Bandit, worried that he was hurt, or worse, dead. There was no sign of Bandit, but Partridge did find a worrisome clue to his whereabouts. He found tracks in a circular pattern, telling him that Bandit had gone round and round probably barking at something in the air! Bandit was never seen again. Could the body of the dog seen on the outskirts of town by the Scarberry's been that of Bandit? The news of this strange event quickly spread from police headquarters to the local news media. By the next day, more reports of this strange creature were reported to the police. In one report, the Mothman had swooped down over another moving car, frightening the passengers. 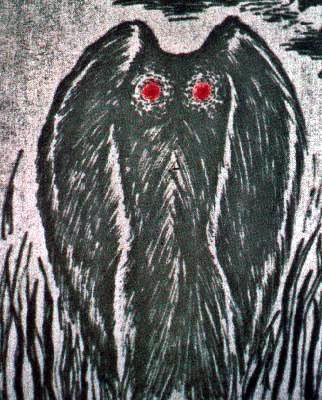 The following night, on November 16, several armed townspeople combed the area around the TNT plant for signs of the Mothman. Mr and Mrs Raymond Wamsley, and Mrs Marcella Bennett, with her baby daughter Teena in tow, were in a car en-route to visit their friends, Mr and Mrs Ralph Thomas, who lived in a bungalow among the "igloos" (concrete dome-shaped dynamite storage structures erected during WW-II) near the TNT plant. The igloos were now empty, some owned by the county, others by companies intending to use them for storage. They were heading back to their car when a figure appeared behind their parked vehicle. Mrs Bennett said that it seemed like it had been lying down, slowly rising up from the ground, large and gray, with glowing red eyes. While Wamsley phoned the police, the creature walked onto the porch and peered in at them through the window. On November 24, four people reported seeing the Mothman flying over the TNT area. On the morning of November 25, Thomas Ury, who was driving along Route 62 just north of the TNT, claimed to have seen the Mothman standing in a field, and then it spread its wings and flew alongside his car as he sped toward the Point Pleasant sheriff's office. On November 26, Mrs Ruth Foster of Charleston, West Virginia reportedly saw the Mothman standing on her front lawn, but the creature was gone by the time her brother-in-law went out to investigate. Later on the morning of November 27, the creature apparently pursued a young woman near Mason, West Virginia, and was reported again in St. Albans the same night, by two children. A Mothman sighting was again reported on January 11, 1967, and several other times that same year. 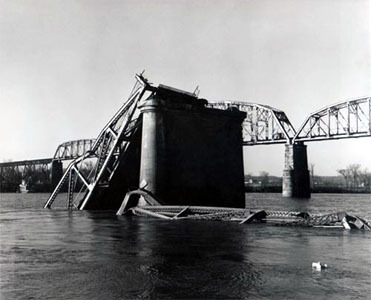 On the evening of December 15, 1967, the Silver Bridge, which crossed the Ohio River at Point Pleasant, collapsed in rush-hour traffic. 46 Cars plunged into the Ohio River, killing many people. 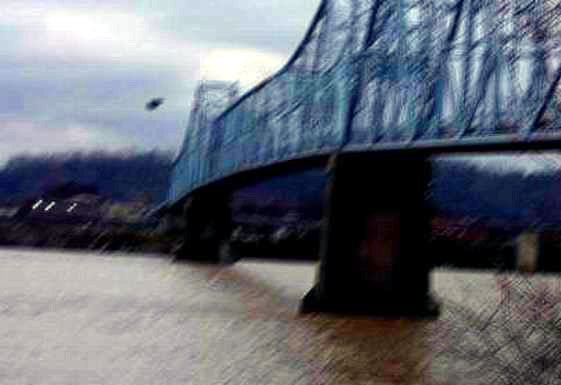 There had been a number of sightings of the Mothman on the bridge by drivers just before it collapsed. The Silver Bridge, so named for its aluminum paint, was an eyebar chain suspension bridge that connected the cities of Point Pleasant, West Virginia and Kanauga over the Ohio River. The bridge was built in 1928. 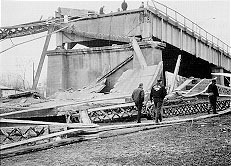 Investigation of the bridge wreckage pointed to the failure of a single eye-bar in a suspension chain due to a small manufacturing flaw. Sightings continued to pour in. Certain features remained consistent - the creature's size, build and hypnotic eyes. Also, malfunctioning radios and televisions featured in many of the reports. Another consistent feature was the fear - people were terrified of the Mothman. Also, a sudden increase of dog disappearances and animal mutilations were reported - and the Mothman was thought to be responsible for those as well. As one would expect with this kind of media coverage, thousands of people poured into the T.N.T. area, hoping for a sighting. Television crews set up at the generator plant, hoping to catch Mothman on film. It was the biggest disaster ever to hit Point Pleasant and it seemed to mark the end of the flurry of Mothman sightings. 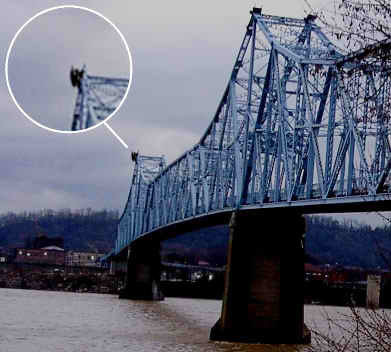 People began to speculate that the Mothman was somehow responsible for the bridge's collapse. The severity of the accident seemed to turn public attention away from the Mothman and only scattered reports of him have surfaced since then. There were many theories of what the Mothman was, the demonic result of a magic ritual, a biochemically altered bird, or perhaps the embodiment of a 200-year-old Shawnee curse on the land. Not surprisingly, skeptics scoffed at these theories, stating instead that Mothman was probably just some normal bird; probably a sandhill crane. The sandhill crane has reddish patches on its head that could possibly be mistaken for large red eyes. However other large birds have been found in the area as well. In July 1967, several boys found a large vulture near New Haven. And at Gallipolis Ferry, a farmer shot an Arctic snow owl; it was two feet tall with a five-foot wingspan. Many local people were not interested in logical explanations - they were afraid and, by the one year anniversary of the first report, over one hundred incidents linked to Mothman had been reported. A plaque on the Mothman statue in Point Pleasant provides a version of the original legend: "On a chilly, fall night in November 1966, two young couples drove into the TNT area north of Point Pleasant, West Virginia, when they realized they were not alone. Driving down the exit road, they saw the supposed creature standing on a nearby ridge. It spread its wings and flew alongside the vehicle up to the city limits."